Hello everyone! �I hope you are all doing great today. �We are kinda warm here in Floyd-86 degrees but we do have a very pleasant wind so it doesn’t seem so bad. �At least, not if you are in the shade! We worked in the garden this morning. �We started early but it still got pretty hot before we were done. 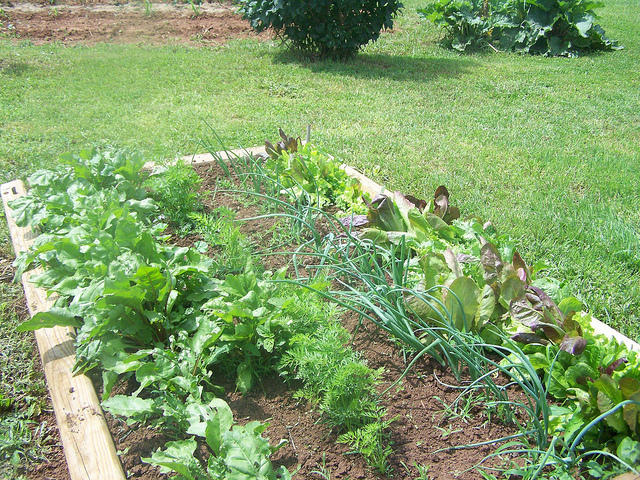 �This is a picture of the first raised bed. �We have been enjoying the salad greens and green onions for a while now. We had a great visit yesterday with my Uncle John and Aunt Elaine. 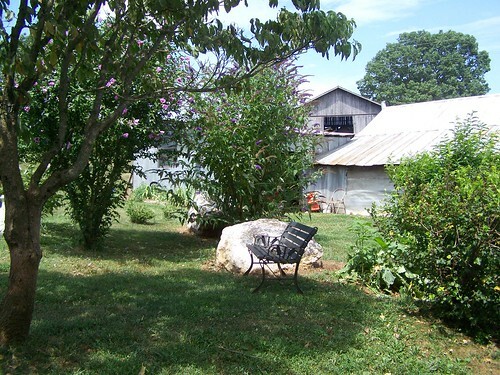 �They live in Mighigan and had never been to the farm before. �Jess and her kids came up. �Everyone went �for a ride in the bumpy truck. �It was so good to get to see them. Our grapevine seems to be doing okay now. 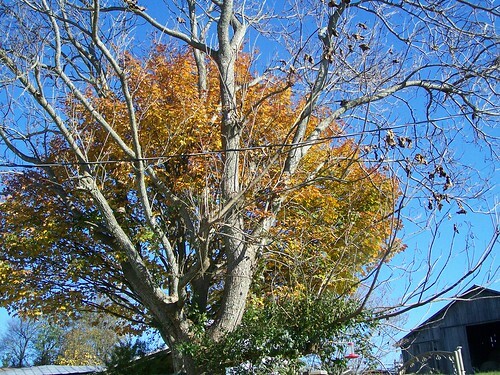 �I was a little worried about it as it got frostbite by the last frost we had. 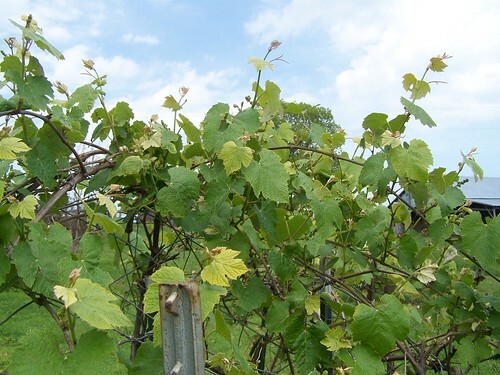 �We won’t have as many grapes as last year but it looks like there will be a few. 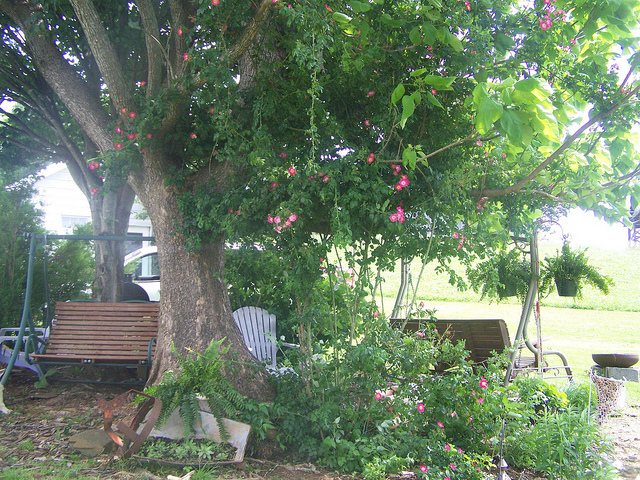 The roses are blooming and look very beautiful in the tree. �We spent most of the evening sitting here yesterday enjoying the view and time spent with family. �I wanted to tell you all about something beautiful I saw last night. �I almost ALWAYS have to get up during the night to go to the bathroom. �Well, last night when I got up I looked out our bedroom window and the sight I saw was totally amazing. �The stars were shining so bright in the sky and underneath them the lightning bugs were everywhere! �So many it looked like blinking Christmas lights. �I stood there watching it all thinking how good our God is to allow me to see something like that! I hope you all have a great evening and God bless. 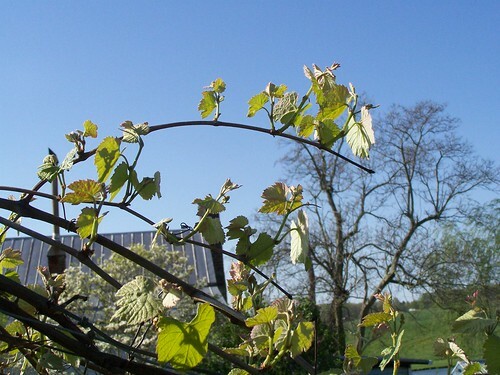 This picture of our grapevine was taken on April 12.� This is what it looked like last week. 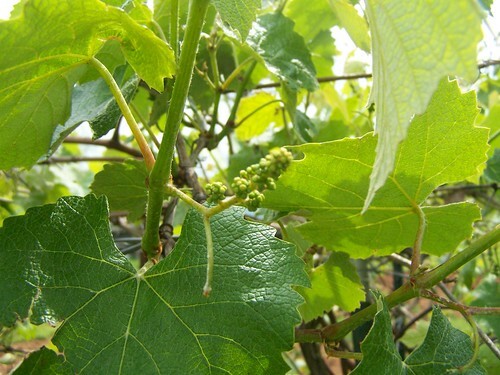 It seems to be growing every day and full of baby grapes! This makes me very happy.� I�hope to make some jelly this year and lots and lots of grape juice!� We so enjoy having our own juice to drink. Our lunch break is over and so I must get back to school.� Enjoy your day and God bless. 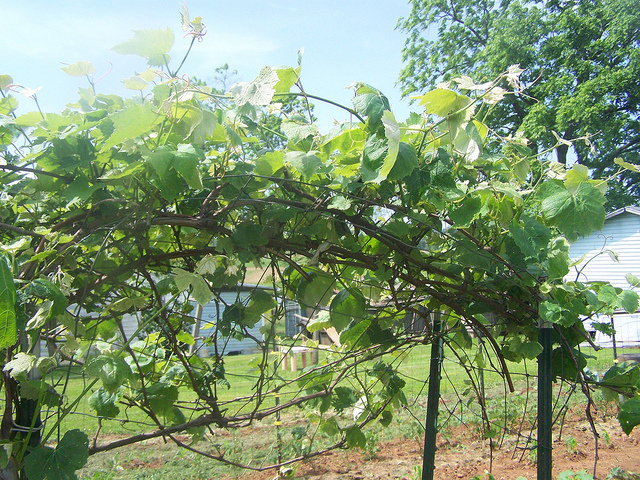 Our grapevine is coming along nicely.��� Remember last year we cut it back too much and didn’t get not one single grape from it.� We are hoping for lots and lots of grapes this year. Well, that’s about all that is happening here.� I hope you all have a wonderful evening and God bless. I thought I would give you all a break from festival pictures today.� Underneath these two trees sits my “green swing” which as you know I dearly love. This is a picture of a late blooming hollyhock.� See how tall it is.� Our house is a two story house and if you look in the upper left corner of the picture you can see the edge of the roof on the house.� Just look at how�blue the sky is today.� God is so good! 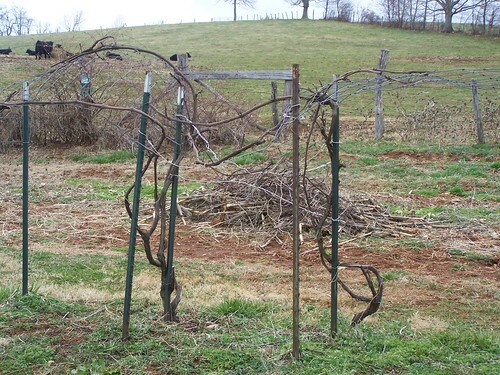 Our grapevine getting ready to rest for the winter. 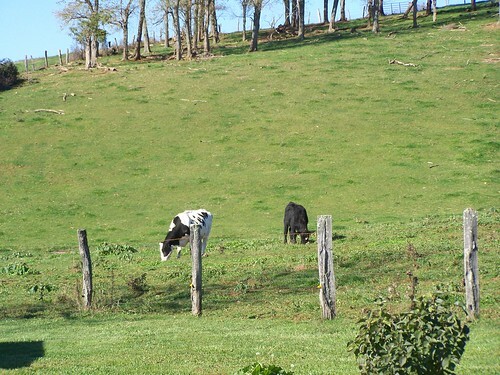 Cows in the field behind our house. 1 cup lentils, 1 cup brown rice, 4 1/2 cups water, 2 tbsp honey, 2 tbsp soy sauce, 2 tbsp olive oil, 2 tbsp minced onion, 1/2 tsp ginger, 1/2 tsp garlic powder, salt and pepper to taste (I used 1/4 tsp each).� Place in crockpot, cook on low for about 4 hrs or until lentils are done.� You can also cook this in the oven in a casserole dish for 1 1/2 hrs at 350 degrees. Our supper tonight will be bbq made from the remainder of the roast I coooked yesterday.� Homemade buns, home fries and the honey baked lentils.�� I think we will have peaches for dessert.� Enjoy your day and God bless. 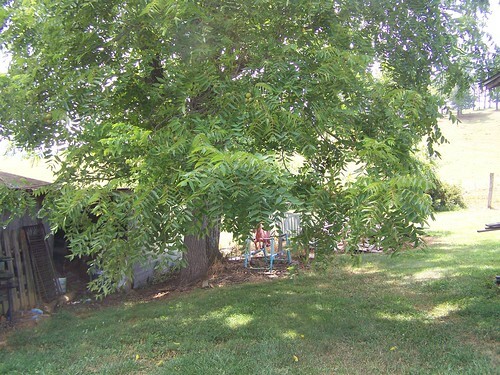 I thought I would show you all a few pictures of around our house.� This picture is one of the old walnut trees that is in the yard.� The faithful horse you see has survived Julie and Grace and is now being enjoyed by grandchildren. This picture is looking out my dining room window. 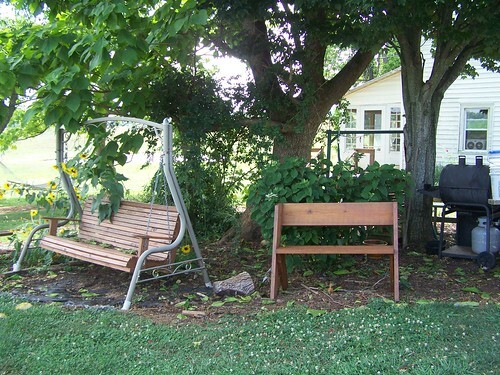 As you come down our driveway, this is one of the first things you see.� Hubby built the bench a few years ago.� The swing was one purchased from Wal-Mart.� When the cloth seats gave out, Hubby made a wood swing to hang on the frame.� Can you tell we love to sit outside here? 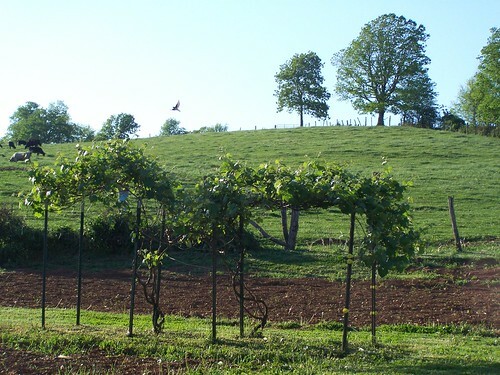 This picture looks up into the field from the side yard.� You can see our grapevine and garden.� Well, I have a few more pictures but they will have to wait for another day.� Time for us to leave for church.� Tonight’s menu is meatloaf, mac & cheese, corn, rolls, cole slaw, cooked apples and watermelon.� Enjoy your day and God bless. 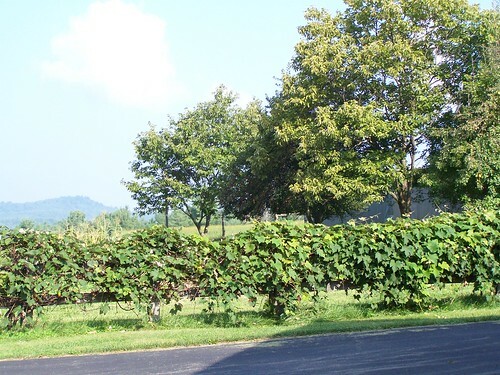 Our grapevine.�You can see another smaller “brash” pile in the second garden.� �We are hoping to have lots and lots of grapes this year.� Now that we have our steamer juicer, we are looking forward to�making lots of grape juice . � We certainly did enjoy the apple juice we made last year.� I want to experiment with other types of fruit to make juice. 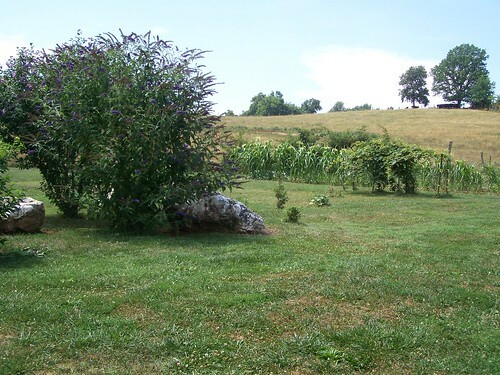 This is the view from the backside.� Isn’t that grapevine pretty?� You can’t really see it but there is a nice garden behind the grape vine and over to the right is a nice small orchard with apples, pears, and plums.� A very nice setting. 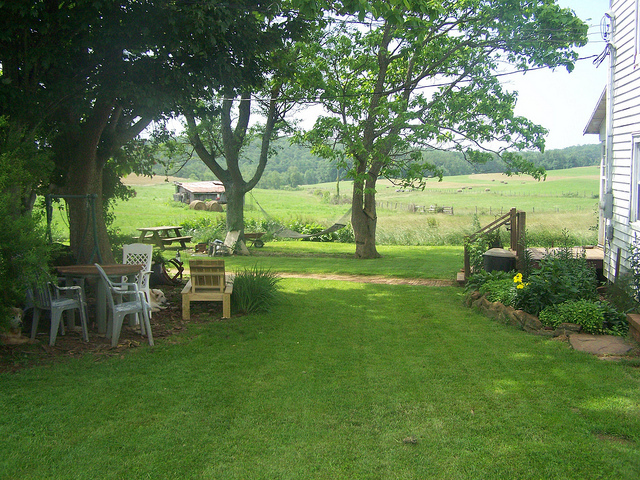 Today has been another nice day here in Floyd.� Temperature right now is 82 degrees with a slight breeze.� Very enjoyable.� Time for me to go enjoy some of that nice weather.� God bless. Our grapevine is looking very good this year. �Last year we only had a few grapes, thanks to a late frost. �Hopefully we will have much more this year. 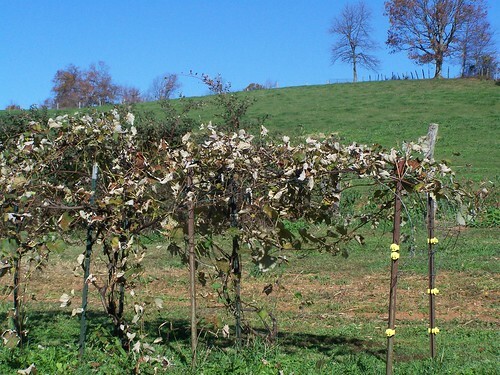 �When we bought the vines I thought I was getting blue concord grapes. �However these are green in color. �They taste like concord grapes though and make great jelly-it’s just green instead of purple. �They seem to be hardy and very productive and that’s what counts. My mint is doing very well this year. 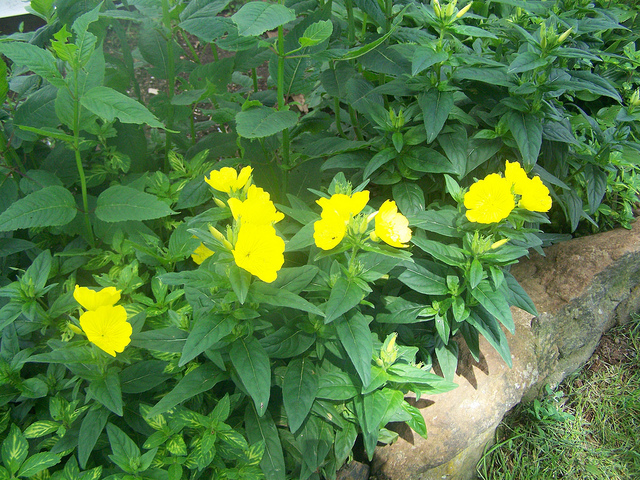 �I have to keep a close eye on it though as it loves to take over the garden. 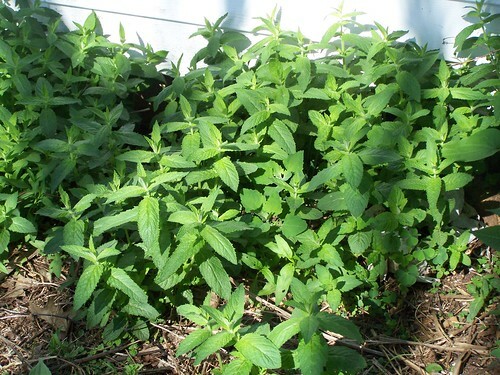 �I think I will make mint tea today. �I make mine by using 2 cups chopped mint leaves with 4 cups of water. �Bring to a boil and remove from heat. �Let sit for 15 min. �Sweeten to taste and refrigerate. �This will make 1 qt. of tea. �Delicious served cold with ice. 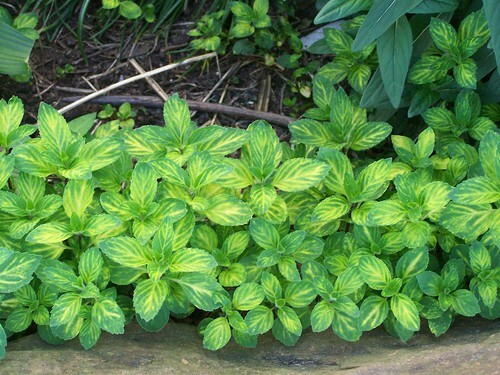 This mint is called pineapple mint. �Very colorful. �It makes a beautiful border and very good tea as well. �Sometimes I mix the two mints together. �I love making fresh tea. �Today is my friend Vicki’s birthday. 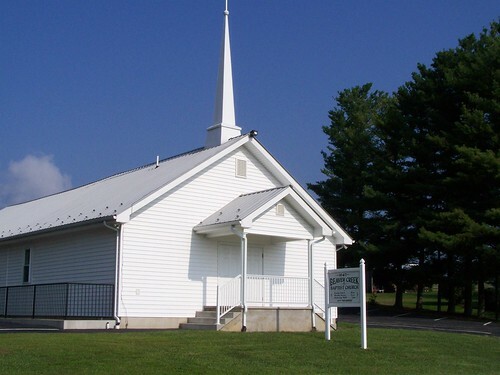 �We are going over to her house for a cook out and to help her celebrate. �I think I will take some fresh tea for her to try. �The girls have started the housework so I guess I best help. �Take care, enjoy your day and God bless.